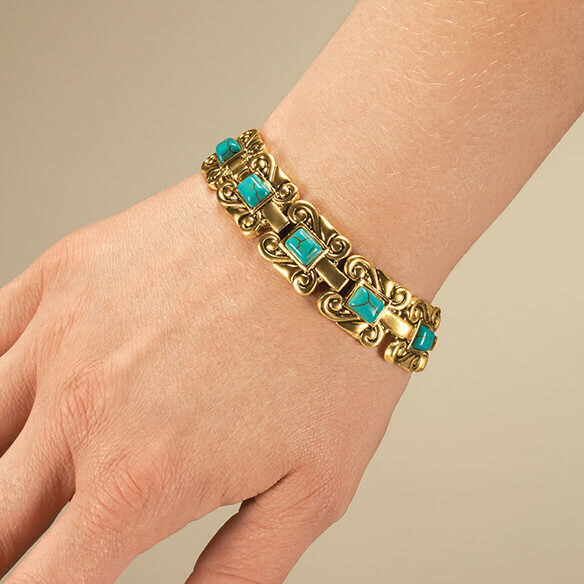 Stylish goldtone magnetic turquoise bracelet is more than a beautifully crafted accessory — it’s designed with two therapeutic magnets, long believed by many to encourage circulation, wellness and healing. 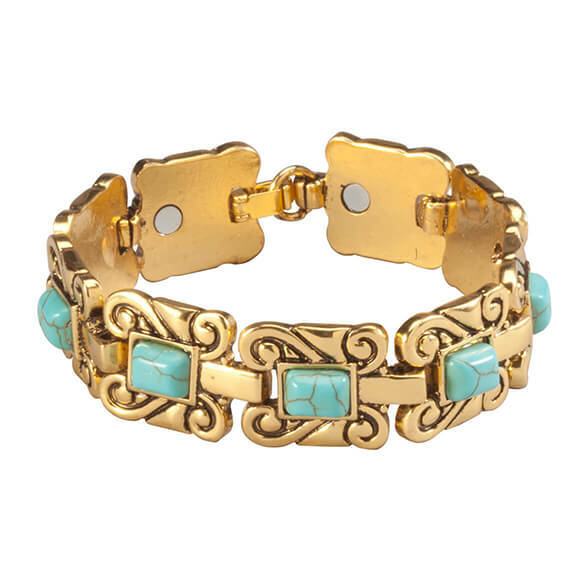 Nine reconstituted turquoise stones are set in elegant scroll metalwork to add color and style to any outfit. Wipe with dry jewelry cloth. 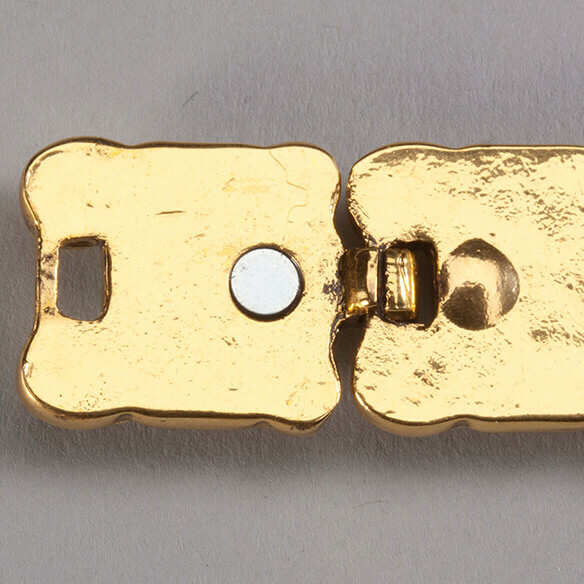 Not suitable for those with pacemakers or pregnant.